Want to verify all the rules for the ACA World Championship? Visit our Official Rules page for more information. Want to learn more about the ACA World Championship? Visit our Frequently Asked Questions page for more information. Do you want to see highlights from our past competitions? See projects, pictures, and videos from years past! The ACA Championship doesn’t end with the awards ceremony. Winners go on to compete and succeed in higher education and the job market. Want to read the stories of some of our top ACA Champions from the past and find out where they are now? 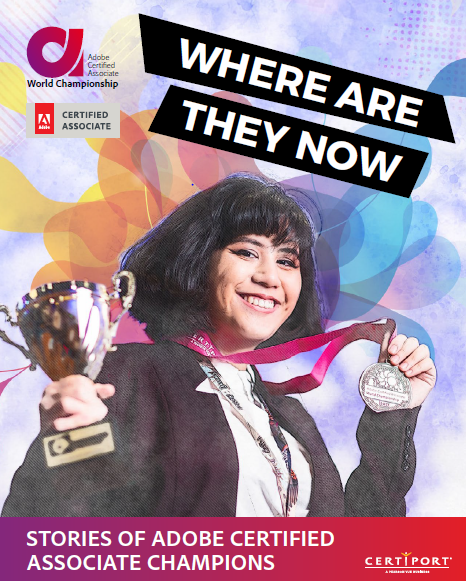 Download a copy of our e-book “Where Are They Now: Stories of Adobe Certified Associates”.